With our standard price repair, you benefit from a reliable repair by the manufacturer, a factory standard calibration where required, as well as an extensive 12-month service warranty. It is the most economical and quickest way to get your high-grade equipment working again. Up to now, every repair involved the offer and approval process – steps that unnecessarily delayed the start of repair work. In the future, you can forget about all that. 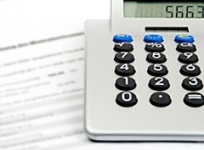 The costs are fixed and known in advance – and the amount of time needed is considerably reduced. Not only do we repair your equipment – we also increase its future operating safety and thus prevent possible failures. Using a sophisticated diagnostic system, we can check the compliance of your instrument or system component with specifications and detect and eliminate nonconformities at an early stage. Furthermore, we perform all required modifications 1) and updates. Only we as the manufacturer of the equipment can offer and reliably perform these extremely important services that are already included in our economical fixed price. If it turns out that only little work and material are needed to eliminate the fault, you merely pay a mini fee instead of the standard price. If a minor repair becomes necessary, you will receive a 12-month service warranty on the repair work done. If you have also ordered calibration, you will receive a 12-month service warranty on the entire instrument 2). 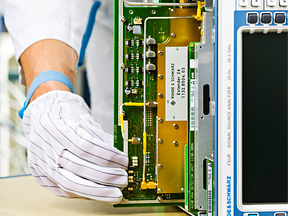 Every Rohde & Schwarz standard price repair includes full calibration (ISO 17025 conformant) 3) at no extra cost. Simply call your Rohde & Schwarz partner, who will quote you the fixed repair price immediately and explain the procedure to you. Your service partner is also available at any time to answer any other questions you may have. 1) Such modifications, e.g. precautionary component replacement, are performed as part of the continuous product improvement process and do not change the specifications or other product characteristics. 2) Applies to the repaired component if the system consists of several components, e.g. amplifier modules. Please see our General Conditions of Delivery and Service for more warranty information. 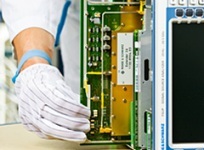 The Time & Material service is mainly reserved for older products and special cases that are not serviceable under any other Rohde & Schwarz service product. The level of service for older products is “best effort”, which means that we will initiate pre-approved steps (funded by the customer) to repair a customer instrument. Parts and technical expertise may limit or prevent the servicing of older products.